NAIROBI, Jan 29 2014 (IPS) - In early January 2008, during the violence that rocked Kenya after disputed general elections, a man knocked at Lucia Wakonyo’s gate at Mathare Valley, in the sprawling Mathare slum. “He was calling out for my neighbour and I told him my neighbour was not in. He pleaded to give him refuge,” Wakonyo told IPS. When Wakonyo opened the gate, “he threw me to the ground and raped me,” she said. Two months later, she discovered she was pregnant and infected with HIV. Wakonyo never attended an antenatal clinic and delivered an HIV positive baby with a traditional birth attendant. Her next pregnancy was very different. In 2012, Wakonyo delivered an HIV negative baby, after attending antenatal care and being put on prevention of mother-to-child transmission treatment (PMTCT). Wakonyo and her baby benefitted from Kenya’s successful drive to extend PMTCT, which nearly halved new infections among children between 2009 and 2011. But, worryingly, the drive is losing impetus. PMTCT coverage fell by 20 percent in 2011-2012, says the Progress Report 2013 of the Joint United Nations Programme on HIV/AIDS (UNAIDS). “Five out of 10 pregnant women living with HIV do not receive antiretroviral medicines to prevent mother-to-child transmission,” Rangaiyan Gurumurthy, UNAIDS Senior Strategic Information Advisor in Nairobi, told IPS. Gurumurthy explained that this figure excludes the 11 percent of HIV positive pregnant women on a regimen of a single dose of Nevirapine, which is not as effective as combination drug therapies. The result is an estimated 13,000 children newly infected with HIV in 2012. 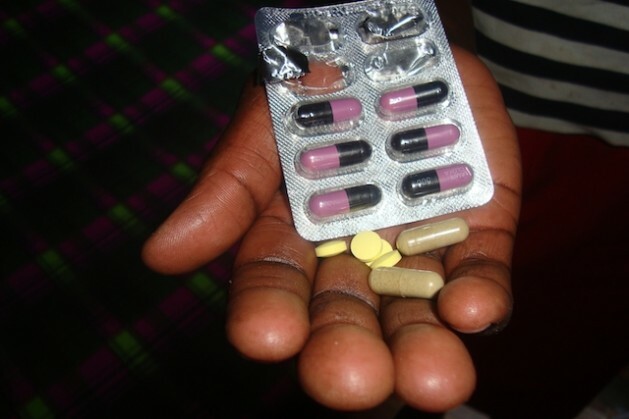 Kenya’s seroprevalence rate is six percent and in moderate decline, according to UNAIDS. Experts agree on the main reason behind the reduction in PMTCP – disruptions in the health services. In December 2011, doctors went on strike to pressure the government to put more money into health care. In March 2012, nurses staged a two-week long strike, and five months later doctors again went on strike for nearly three weeks. More strikes took place in 2013. During the strikes, Wakonyo resorted to self-medication, taking any antiretrovirals that she could find as well as traditional medicines, although aware this could lead to resistance to ARVs. George Omondi, from the local advocacy group Women Fighting AIDS in Kenya (WOFAK), agrees. “The PMTCT programme has been so successful that the country has shifted from P to E. We no longer talk about prevention of mother to child transmission but elimination – eMTCT,” he told IPS. UNAIDS points out that Kenya is taking steps to strengthen PMTCT, such as providing free maternity services, scaling up its Mentor Mother programme nationwide and boosting support for exclusive breastfeeding among HIV positive nursing mothers. In Nyanza and Western provinces, he added, only a quarter of women deliver under the care of trained health attendants. “When a woman delivers at home, she cannot access the full PMTCT treatment,” he explained. Some pregnant women visit the clinic only once. “They get tested for HIV but they do not go back for the results,” said Osur. In spite of these challenges, WOFAK’s Omondi remains optimistic that a reduction of HIV transmission among breastfeeding mothers to less than five percent and a 90 percent reduction in mother to child HIV transmission rates by 2015 is a realistic goal. AIDS experts remain concerned over the continued unrest in the health sector and have urged the government and health professionals to settle outstanding issues over remuneration, and thus ensure that doctors and nurses are at hand when needed and that fewer babies are born with the virus.